Our kitchen is the hub of our home, it’s where we gather and connect. When we moved into this home we actually ripped out walls to create an open style main area where we can be in the kitchen and still converse with people who are in the dining or living room. This means that you can see my kitchen from all angles, and while I don’t love the look of the cabinetry I have some pretty amazing appliances. When we went appliance shopping we purchased high-end items, knowing that one day we were going to do a kitchen reno to match them. Although I love my gorgeous, top of the line dishwasher it’s just not up to snuff in the performance department these days. My dishes are coming out with a film, there are spots on my glasses and frankly there’s an odour. I knew I had to clean my dishwasher but I wasn’t entirely certain what the best method would be and when I was given the opportunity to check out Finish Dishwasher Cleaner I figured why not? I’d never figure out how to clean a dishwasher if I didn’t try. The process was simple, I just peeled the sticker from the top of the bottle without removing the cap and placed it upside down on the bottom rack of the empty dishwasher. Then I ran the dishwasher on the hottest setting possible. When I opened the dishwasher I just wiped out along the edges of the door and voila, a clean dishwasher! 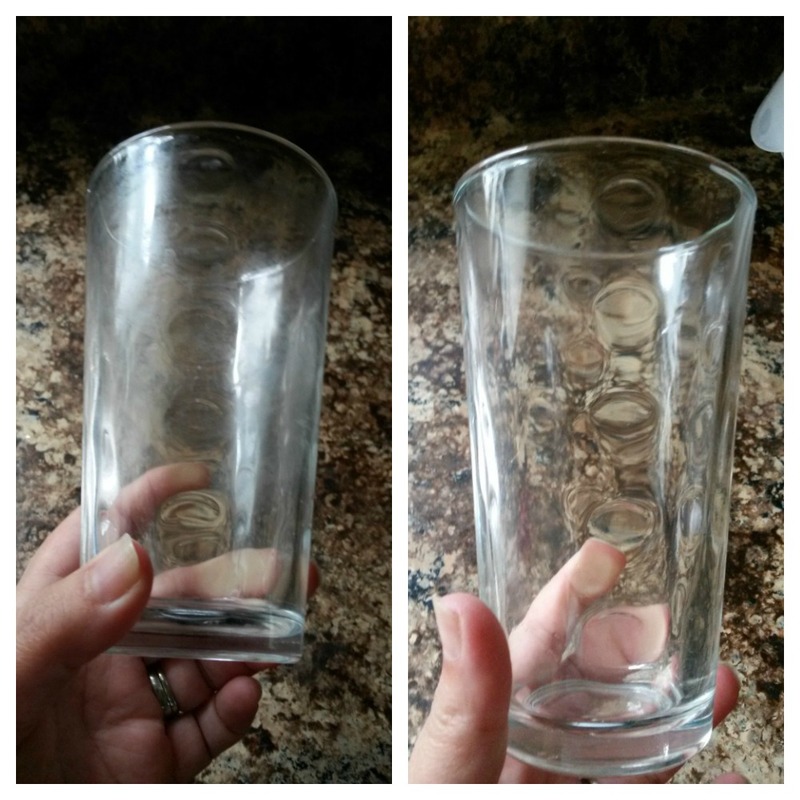 Once I had a clean dishwasher I was ready to attack the film and water drops on the glassware. Apparently these are caused by food and chemical residue landing on the items during the rinse cycle. FINISH JET-DRY Rinse Agent rinses away leftover food and detergent residues for sparkling dishes, glasses and cutlery. Plus, as it wicks away the residue, it also helps the dishes become drier than when you use detergent alone. I just loaded up the dispenser in my dishwasher and it releases it during the rinse cycle. The results were obvious. If you’re interested in more information, head over to the Finish Dishwashing Expert website for more videos and instructions: http://dishwashingexpert.com.